We focus on the application areas of mechanical engineering, shipyards, exploitation of raw materials/energy offshore (oil platforms/wind parks), refineries, wind energy, special vehicle engineering, pipeline construction and power stations. 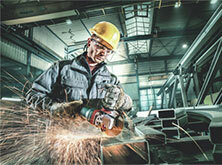 Every Metabo product contains innovative engineering skills from Nurtingen, Germany. 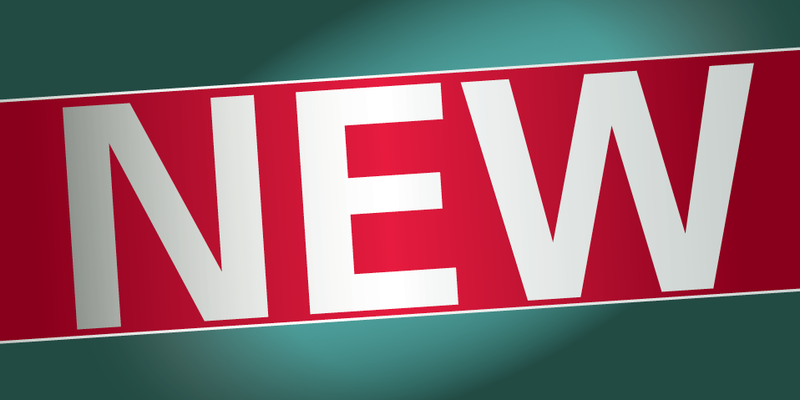 Our tools feature convincing technical solutions, offering you plenty of benefits. Minimal processing times yield maximum results. The harder the job, the more important it is to offer best possible protection for the power tool user. 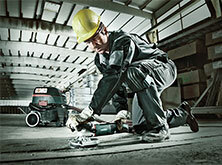 Metabo machines for industrial applications meet all relevant specifications in full. The long service life of our tools and accessories lower the frequency of new purchases, saves you valuable time and reduces your costs. Being a leader in battery pack technology, we continually follow our vision of a cordless construction site in order to provide our users with even more independence. In every Metabo tool there is traditional Swabian engineering ingenuity. Since 1924 we have been developing innovative ideas in our Nürtingen plant and have been implementing them into pioneering tools and perfect accessories.